18133 ESS TUNISIA (1926) Grand mosque of Tunis*. 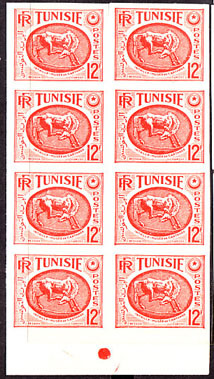 Collection of 3 imperforate trial colors with value omitted. Scott type A11.